This complete kit features everything necessary to lift your 4Runner with KDSS up to 2.5 and provides the ultimate on-road and off-road ride. 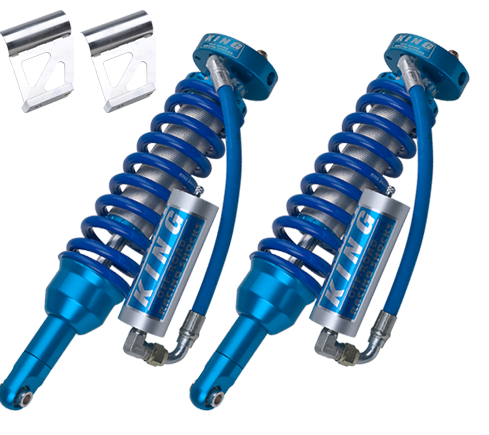 At AccuTune Off-Road we custom tune every shock to fit your 4Runner's modifications, your terrain, and your preferences to give you the best on-road and off-road ride possible. There are three steps which set AccuTune aparts: phone consulation to understand your truck and use, AccuTune Equations using the latest tuning techniques to provide a completely custom shock, and finally in house re-valve to ensure quality and fast delivery. Go with AccuTune and feel the difference. Extended travel upper control arms (UCA's) are necessary for lift heights over 1, especially when used off-road. 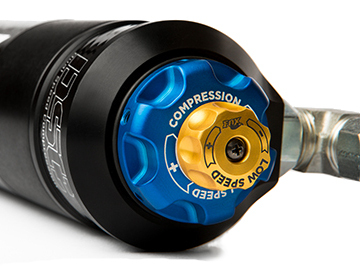 We recommend the Icon Delta Joint UCA's because they are sealed and externally greasable meaning they'll have a long, squeak free life. 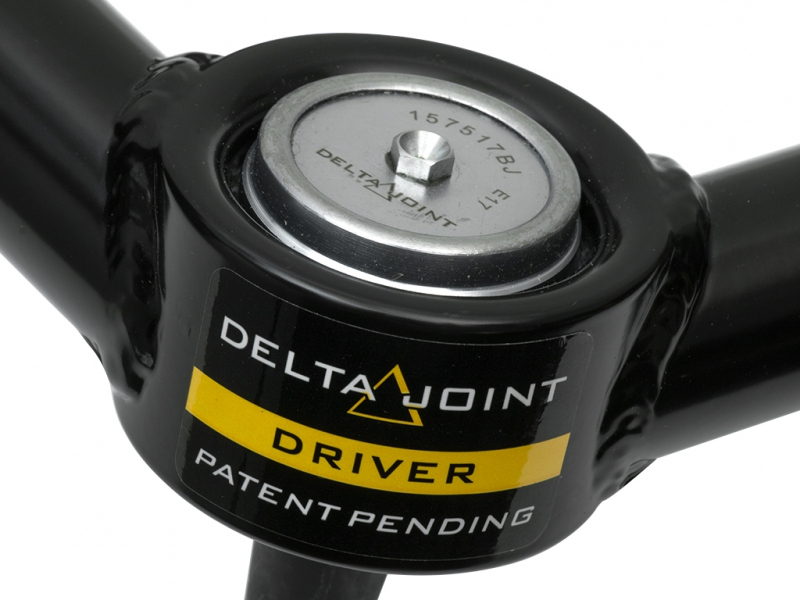 Billet tubular control arms use greasable bushings on the frame side for a compliant ride. Give us a call if you'd like to order this kit with billet arms. Toyota 4Runner's carying heavy loads or seeing serious off-road use should use a large diameter 2.5 shock for greater durability and tunability. 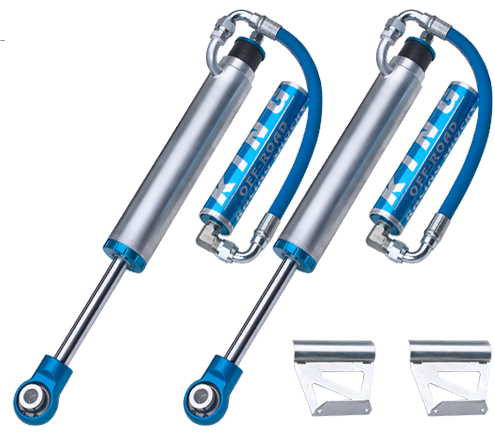 These particular shocks are longer travel King rear shocks which we configure to fit the rear of your 4Runner. We know all the best valving tricks to make these perform well on the back of your 4Runner. 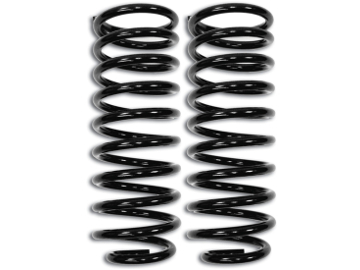 Eibach rear springs provide up to a 1 lift to the rear of your 10+ Toyota 4Runner. 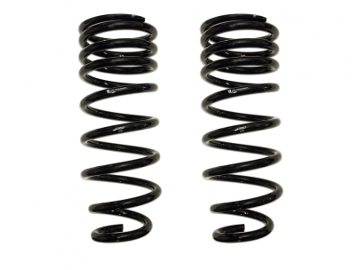 These 2 Lift Coil-springs improve your on and offroad ride quality. 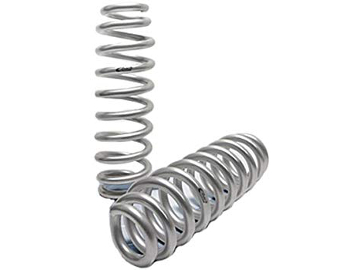 The slightly higher spring helps with load bearing capacity while increasing ride height to clear larger tires. The ICON Vehicle Dynamics Toyota FJ Cruiser / 4Runner Overland Series Rear Coil Spring Kit was developed for the expedition-style offroader who is loading down their vehicle with bumpers, winches, rooftop tents, and more. ICON engineers developed this multi-rate coil spring to provide compliant handling and the exceptional on and offroad ride quality you would expect from an ICON product. This coil spring kit will deliver 3 of lift in an unloaded vehicle, and 2 of lift when loaded down with a typical list of overland equipment.